As you reach your 40’s and 50’s, you may find that the lifestyle you were living when you were younger does not suit you anymore. For women, this fact is especially true; their bodies undergo more biological changes. As women get to their 50’s, they’ll have to make up for changes in their body including hormonal, muscular, and cardiovascular. Thus, it’s particularly important to pay closer attention to women’s health once they reach their 50’s. Unfortunately, weight gain is more common in aging women. This is due to the fact that with age comes a decrease in muscle mass, an accumulation of extra fat, and a drop in the resting metabolic rate. Hormonal changes in women can also cause a variety of symptoms. Additionally, this can up the overall risk for stroke and heart diseases for women. And older women tend to have a harder time in absorbing certain nutrients because of a decrease in stomach acid. Clearly, older women’s diets should look significantly different from their diet when they were in their 20’s. They should look into a diet that helps maintain a healthy weight, eat heart-friendly foods, and most of all help them stay strong. The following tips can help women lead fabulous and healthy lives well into their 50’s. The older we get, the higher the chances of developing high blood pressure (hypertension). This is because our blood vessels become less flexible as we age. Hypertension puts us at risk for heart disease, stroke, kidney ailments, and death. One of the leading causes of hypertension is consuming too much salt. About 70 percent of salt in the diet of Americans originate from processed food products. You should significantly lessen our consumption of processed foods. These foods include canned soups, chips, microwavable and frozen dinners, etc. Ideally, we should forego these types of foods altogether. However, if it’s not doable, we should aim for about 1,500 mg (or about ½ teaspoon) of sodium per day. Rather than salt, start using herbs and spices to flavor your meals and dishes you cook. Additionally, many herbs are high in antioxidants and offer a variety of health benefits; rosemary, oregano, and thyme are some of them. Giving up on processed foods will also mean that you are introducing more whole and healthier foods in your diet. These include fruits, vegetables, and whole grains. These foods will help up your fiber intake. As you know, fiber helps in staying full longer; this will help you not overeat throughout the day and not contribute to weight gain. When women reach their 40’s, they may experience significant hormone and gastric changes. This results in a decrease in calcium and D levels absorption. Moreover, studies show that women in their postmenopausal stage have higher osteoporosis and bone fractures risk because of lower estrogen levels. To make matters worse, after women reach their 50’s, the bones will start deteriorating rather than building, which will negatively impact women’s health. Ideally, women should consume sufficient calcium even before they turn 30. The good thing is it’s never too late to introduce more calcium-rich foods in your diet. Good (and delicious) sources of calcium include spinach, kale, broccoli, yogurt, sardines, and milk. In addition, women should remember to have their vitamin D levels checked. If needed, they should ask their doctor for additional vitamin D supplementation. Vitamin D is required for better calcium absorption. When our blood vessels get less flexible, our risk of getting heart disease is increased. Women in their menopausal stage are especially vulnerable to this. Fortunately, there is a (delicious) diet to help lessen this risk. When studies were conducted to look at the populations in the world, it was determined that people who more than 100 years old have one thing in common: consuming a Mediterranean diet. 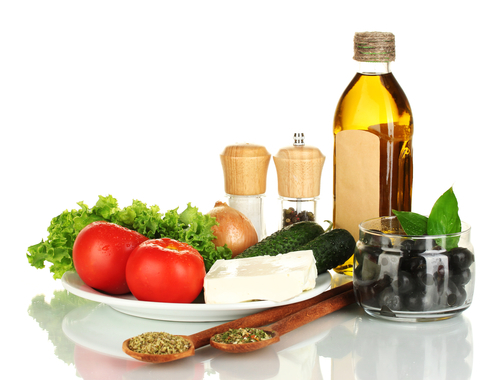 The traditional type of Mediterranean diet is composed of plenty of whole grains, vegetables, fruits, moderate wine intake, and olive oil. The European Journal of Cancer Prevention even found out that this type of diet was linked to lower risks of heart disease and cancer. The American Journal of Clinical Research further proved this study. They also endorsed the diet’s capabilities to protect against chronic diseases. ← Previous Post Why Does My Jaw Hurt?